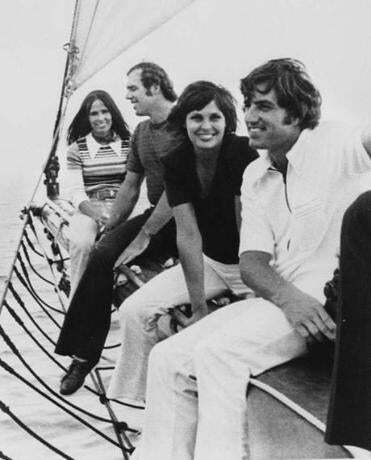 Susanne and Mike Kekich with Marilyn and Fritz Peterson (right) in 1972. Ben Affleck and Matt Damon’s on-again off-again movie about the Yankees’s 1973 wife-swapping episode is apparently on again. The New York Post reports that efforts to block the film by one of the ballplayers involved in the scandalous swap have failed, so the film — aptly titled “The Trade” — is moving forward. The long-gestating film centers on Fritz Peterson and Mike Kekich, who disclosed during spring training in 1973 that they were trading wives. (Peterson had fallen for Susanne Kekich while his buddy began bunking with Marilyn Peterson.) Affleck was believed to be interested in directing the film, and perhaps starring alongside Damon, but now it appears the two would produce and Jay Roach, of “Austin Powers” fame, would direct. It is Kekich who has tried to block the film. (Peterson, meanwhile, hopes the movie gets made, telling The Palm Beach Post in 2013: “It’s a love story. It wasn’t anything dirty.”) In case you’re wondering, Peterson is still with Susanne, but Kekich and Marilyn eventually broke up.